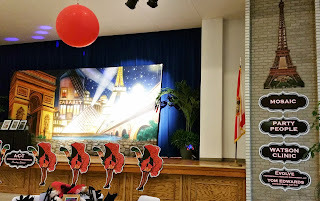 Party People Celebration company enjoyed working with the staff and volunteers of the Bartow Chamber to Transform the civic center from a blank space to a colorful Magical night in Paris. 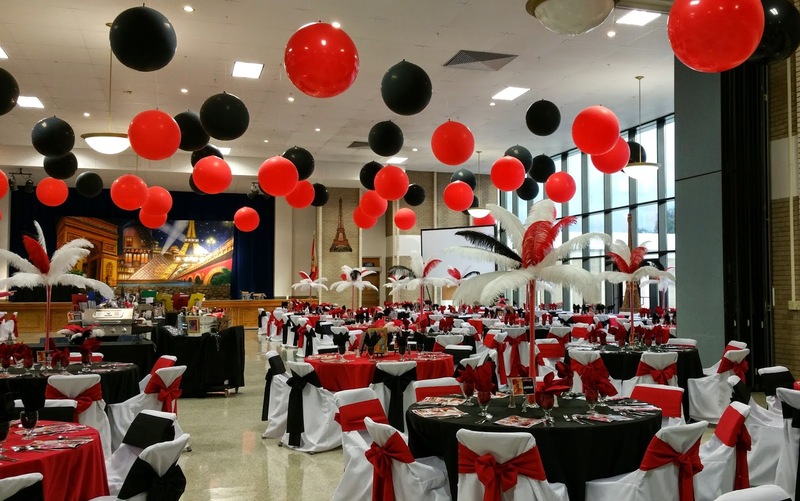 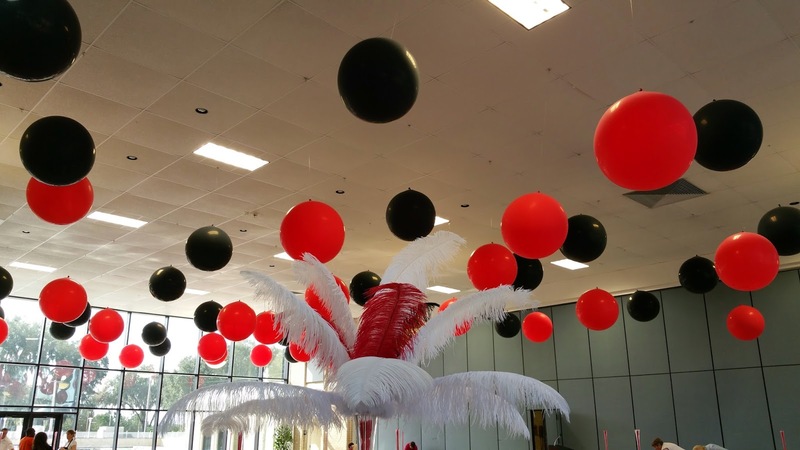 WE installed 100, 3 ft balloons to the ceiling to create color, depth and "lower the ceiling" Then alternated Tall and low feather centerpieces. contact Party People Celebration Company to bring your theme to life.